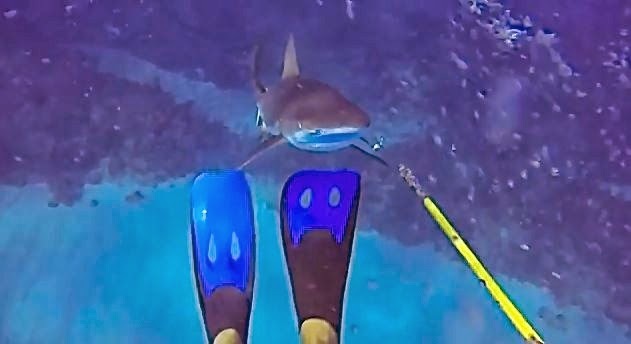 Reef sharks are usually indifferent around divers, but they are known to become aggressive when food is present, which describes the circumstances of the shark attack on Dimitri. And he will continue to protect himself in case of other shark attacks by reef sharks. Caribbean reef sharks are common in the Caribbean Sea and are typically 6 to 8 feet in length, but can grow to 10 feet. According to the latest findings of the International Shark Attack File, there have been 27 shark attacks attributed to the Caribbean reef shark, four of them unprovoked, none fatal. Make that five unprovoked attacks. “In no way did this encounter discourage me from getting back into the water,” he said.